The first half of 2014 has come and gone, and as the heat of another Bluegrass summer engulfs us here at the One Bearded Golfer Blog, it is time to check in my progress towards my New Year’s Golf Resolutions. I have the shoes. 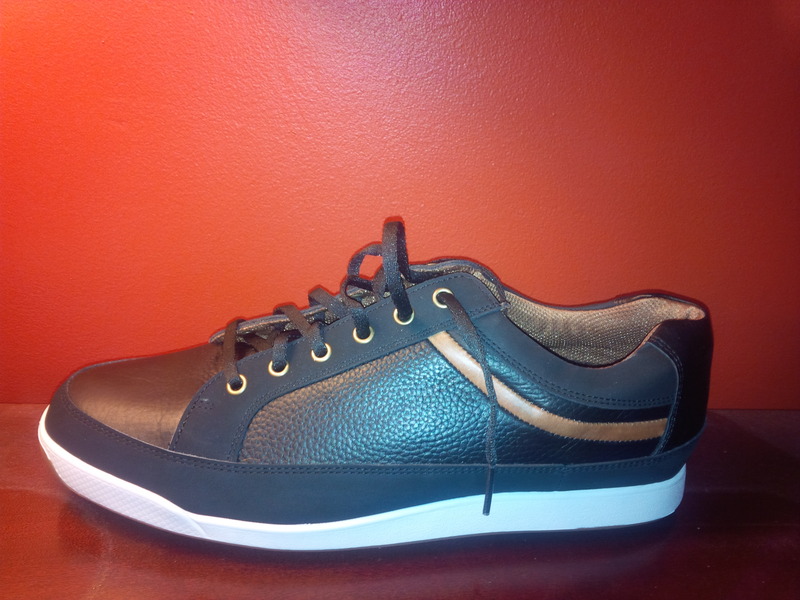 I’m just not sold that they’re the best golf shoes for me. I will buy a new pair of golf shoes. Progress Grade: A+. My feet continue to remain dry on the golf course, which is still a welcomed change from the last year or two. I’m not sold on the grip that these spike-less golf shoes provide yet, but, in fairness, if I stay within my self and don’t over-swing the golf club, slipping and losing my footing isn’t really an issue. I will take at least one golf lesson this year. Progress Grade: A+. I’ve had seven lessons at Man O’ War golf so far this year, and with the warmer weather, I’ve been incorporating more practice time to work on the things I’ve learned. My scoring still isn’t where I would like it to be yet, what I’ve learned through professional help has given me a new level of enjoyment in my golf game. I will keep an accurate score every hole, every time. Progress Grade: B. It’s been really difficult for my ego to accept that when I keep an accurate score, counting every flubbed chip, drive out-of-bounds, and putt out to the hole, that lowering my handicap is taking much longer than I thought. I will practice and work on my game at least once a week. Progress Grade: B. With the heat of late spring and summer having arrived, and the long summer Sun setting after 9 p.m., I’ve been able to spend more time on the range, the practice green, or the backyard chipping complex. Slowly, the practice time is starting to pay dividends. I will stretch to work on my flexibility three times per week. Progress Grade: F. WANTED: The resolve to follow-through on what should be the easiest task on this list. I will invite someone to play golf with me that I have never played with before. Progress Grade: B. I’ve played golf with strangers and people I didn’t previously know on Hilton Head, Hawaii, and in my local golf association. Each experience has been a lot of fun. I still have several friends, colleagues, and clients that I hope to get on the golf course by season’s end. These are my compatriots on the 13th tee, and that is the 13th fairway behind them, some 200 feet or more below. I will play the five best (public) golf courses in Kentucky. Progress Grade: A. Depending on which list or ranking one relies upon, my traveling circus of golf companions is sneaking up on knocking out this list by summer’s end. 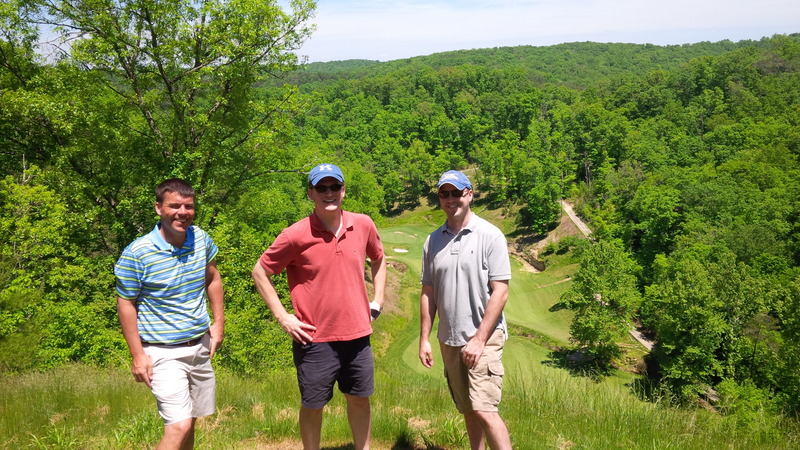 The honor roll of great public courses in Kentucky that I’ve played this year include: Old Silo, Houston Oaks, Eagle Ridge, StoneCrest, Lassing Pointe, Nevel Meade, Heritage Hill, and Kearney Hill. I will take each round seriously, but not too seriously. Progress Grade: B. I still struggle with some anticipatory nerves leading up to and at the beginning of my competitive rounds or courses I’ve really be looking forward to for a while, but I’ve still managed to have fun during most of my rounds this year. I will be active in my local golf club. Progress Grade: B I’ve only missed one PMGA event so far this season. Though my performances have generally been awful golf displays, I’ve had fun and maintained my desire to continue through this season. 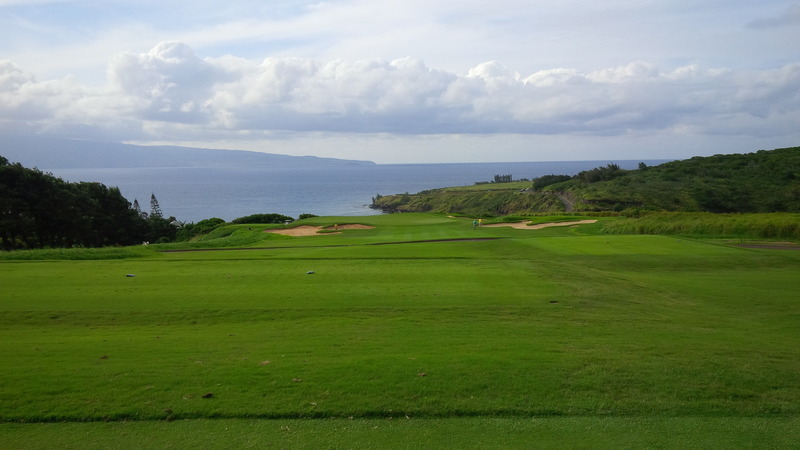 I’m sure this won’t be the case with every Top 100 course, but Kapalua was worth every penny. I will play 3 of the Top 100 public golf courses in the United States. Progress Grade: A+. I’ve been able to play Harbour Town Golf Links, the Kapalua Plantation Course, and the Wailea Gold Course so far this year. Plus, we’ve already got a tee time reserved at Longaberger G.C. outside Columbus, OH, in a few weeks to boot. Again, I feel like I’m making progress. Sure, I need to get back to stretching, and I’ve got to continue to putt out each hole if I’m going to get better. But my original list of Ten New Year’s Resolutions was ambitious, and having a few items already checked off the list feels pretty good. ← What makes a golf course “fair”? Absolutely. Life has tried to get in the way, which happens, but I’m every bit as committed to trying to reach my stated goals. Of course, there are a few others that I’d like to accomplish this year as well, but first things first, I suppose. I would say your report card is awesome! You have tangible and realistic goals that can started at any time! How is your game coming along? See any real improvement with the lessons? Then you have achieved what only 10% of golfers achieve; a solid plan, well executed that has positive results! Keep it up!